Dig, fight, explore, and build. 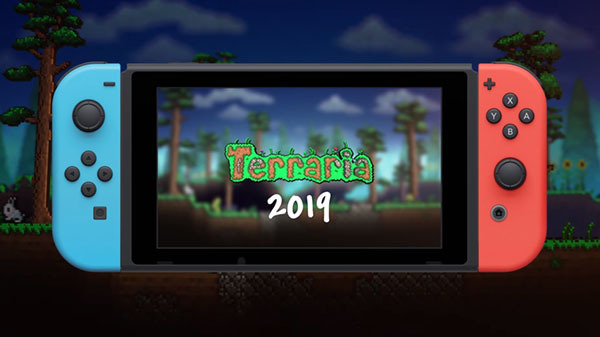 The Switch version of Terraria will launch in 2019, publisher 505 Games and developer Re-Logic announced. Terraria is currently available on numerous platforms, including PlayStation 4, Xbox One, PlayStation 3, Xbox 360, Wii U, PS Vita, 3DS, PC, Mac, Linux, iOS, Android, and Windows Phone.